Hollow Earth: Agartha – Complete! 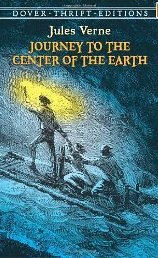 NOTE BY NANCY: Many children have enjoyed reading Journey to the Center of the Earth, a classic 1864 science fiction novel by Jules Verne. We were told it was science fiction; however as Truth pours forth, we are about to learn that much of what we term science fiction has been a covert way to allow Earth humans to begin adjusting to the truth. 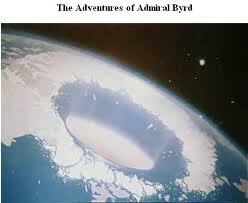 Learning about Hollow Earth Agartha is a major Truth that is to be revealed. 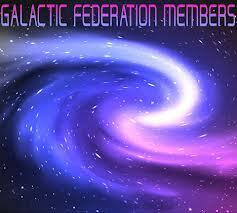 We are to meet our Agarthan cousins in the near future, just as we are to meet our cosmic family! We are to learn that life as we have been allowed to know it is simply a miniscule portion of Truth. It is important to remember that Agarthans are more advanced that Earth’s surface humans, both spiritually and technology-wise. A 5th dimension culture is characterized by Love, Peace, & Abundance for ALL. Our 3d dimensional culture of violence, pain, and suffering is passing away! Our planet is ascending to the 5th dimension and higher. Our Agarthan cousins will emerge from Inner Earth and assist us to co-create the New Aquarian Golden Age! The following summary of information on Agartha (Land of Advanced Races) can be very helpful in preparing to learn the Truth about our home planet, cosmic community, and to dissolve any fear of what is presently unknown. Filed under: Agarthans, Hollow Earth, Inner Earth |	Comments Off on Hollow Earth: Agartha – Complete! Selamat Jarin! We return and bring with us Good News! The time for the grand moment is arriving! 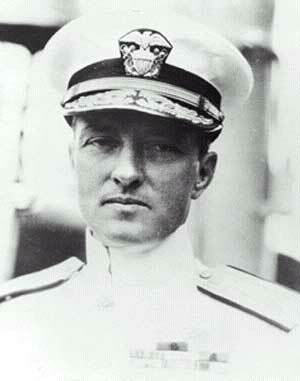 Major elements of the dark cabal are now under arrest and those in charge of planning the high-profile series of trials are setting dates for formally reporting on these significant events, which constitute the tip of a truly enormous iceberg. The long wait for announcements is nearing its end and we watch as the dark cabalists come to realize that the moment they dread is beginning to manifest. To prolong the charade now in play, they have concocted a fictitious picture of an American domestic economy that is ‘somehow’ rising like a phoenix from the ashes of the past few years. In truth it waits for the final blow to be struck. The world’s economies are mired in a collective debt that is the world’s total GNP many times over. The disaster your globe faces cannot so easily be swept under the rug, which explains why Spain is sinking fast and Germany is not far behind. The cabal has long treated the world as its personal ‘oyster’ and has been indulging in a massive spending-spree of unbelievable proportions. The way out is global debt forgiveness. This solution is one that the dark refuses to countenance. They fear an enormous loss of power and wealth if global debt forgiveness is formally granted, and so these grand titans of hypocrisy refuse to permit even a measure of freedom and dignity to the world’s people. They are dedicated to the preservation of illegal wage slavery and deep indebtedness, as this keeps you securely under their control. This defiance, as was foreseen, has actually been a great boon: it allowed our various Earth allies to secure the legal means for ousting the cabal from power. At present we have substituted what we call life-and-light surrogates for those we have legally incarcerated, and all this will be revealed when the new governance takes over. Until then we are doing our part to make the transition go as smoothly as possible. The gargantuan debt needs to be publicly exposed and then fully forgiven, and to bicker about any aspect of this prime requisite is just absurd. This national debt business is nothing more than illusion, a control mechanism, deliberately set up by the dark to maintain its debt-driven economy. Besides the various substitutions being made to keep the business-as-usual charade going, we have been busy forging a working partnership between us and those who are to replace the wrong-doers who still hold sway in your global governments, who swindle you each day out of money and properties, and who pass judgments that are not theirs to make. The sheer volume of illegal activity that goes on every day is quite astonishing, and we cannot wait to send these scoundrels packing! By contrast, your new governance may at first surprise you with its transparency and is to interact with you in as useful and honest a way as possible. Government needs to be seen as an instrument that guarantees your sovereignty and welfare rather than adhering exclusively to self-serving special interests. The new transparency will approximate to some degree that of galactic society, and as you grow in consciousness you will become more aware of how government (while it exists) necessitates strict and dutiful oversight on the part of the people. This is something you will need to monitor until the mass landings occur. As you morph the reality you now know into one that is quite different, it would be useful to observe carefully each new component of your society in order to understand how it might affect your world as a whole. Change is to come rapidly once the various pieces currently delayed by Heaven begin to flow. This time is getting very close. A sacred accord was made with the Anunnaki nearly 13,000 years ago which detailed a number of natural events that were to mark the end of that agreement and herald the rise of a new epoch of Light for humanity. These signals are arising and shortly a new reality will descend and change your world forever. This is the sacred pledge of Heaven, and we are here as mentors of this pledge and to ensure that the changes decreed long ago appear. Heaven is moving you from your present state of limited consciousness to your natural state of full consciousness. In your natural state you will inherit responsibilities which we will undertake jointly to render permanent the current galactic peace treaty. Namaste! We are your Ascended Masters! We come today in joy! Many of the ‘natural celestial events’ referred to earlier have come and gone. Only a few are yet to happen and all of these are very close to occurring. As they happen, they bring your world closer to its sacred destiny. These things are divine heralds of a new reality filled with Light, Love, and prosperity. Everywhere the Heavens are preparing to greet us with a display of energy that will signal the beginning of your new epoch! Likewise, we are preparing our associates to announce our coming schedule and begin a campaign that will cause your present government to change. This change will lead to your liberation and to a formal declaration that your space family is shortly to land on your most beautiful living world. The Agarthans, who have long made their homes available to us, are also preparing to announce their presence in the interior realms of your glorious Mother Earth. This planet has long been partitioned into two separate realms: one exists beneath your feet and has often sent representatives to live quietly among you; the other is on the surface where you live. The Agarthan explorers to the surface realm returned home with large amounts of data which is being used to ascertain the most harmonious way to prepare surface humanity to learn of Agartha’s existence. Since the Agarthans are also domiciled there, they also wish to contribute, at the right moment and in the most compatible way, to the unveiling of this information. As these announcements are broadcast, we, your Ascended Masters, will use our good offices to set the record straight about your many religious practices and traditions. These truths can provide you with the chance to learn more about full consciousness and the plan to return you to this enlightened and divine state of Being. In this state you will have the experiences we once did when we reached the status we now enjoy as immortals of Spirit. In this exalted state, you will rediscover who you really are and why you came, so long ago, to Mother Earth. This knowingness will be a foundation for all that you are to accomplish in divine service to the Great One, and to this end we are being prepared for our roles as your heavenly supervisors. Part of this service is to guide you and to prepare us, your sacred counselors, to teach you more about your duties in a galactic society. The Light ‘knows’ how you are likely to respond to this realm, and is giving daily instructions on the best way to oversee the start-up of Earth humanity’s new sacred society. You will reunite with your Agarthan family and together we will carry out the initial duties of this new society as we expand our reach to our sister planets and begin to coalesce these worlds into a new star-nation. We are ready, and joyously anticipate our shared divine destiny! 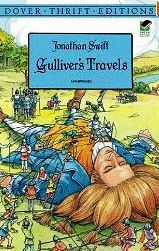 DID WE READ ABOUT WHAT IS NOW BEING UNCOVERED AS CHILDREN? APPEARS THAT IS THE CASE! APPEARS THAT IS THE CASE! 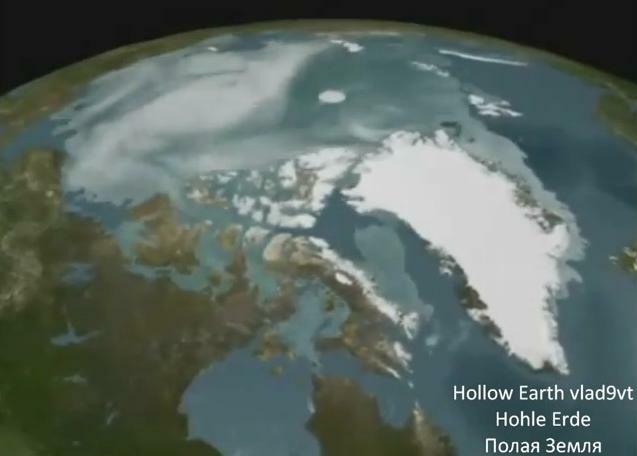 Hollow Earth – There is a No Fly Zone over both the South and North Pole. 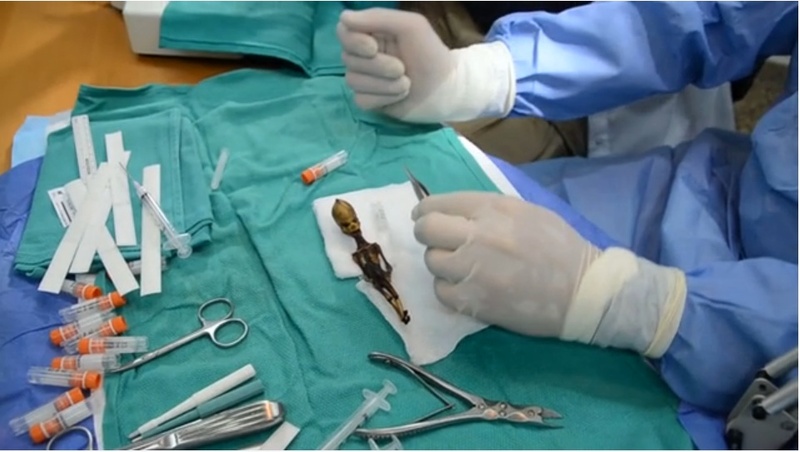 This is a humanoid extraterrestrial’s skeleton discovered in South America. It will be featured in Dr. Steven Greer’s documentary, SIRIUS, to be released in the Spring of 2013. Another almost identical extraterrestrial was discovered while still alive in Russia in 1996. It lived with the Russian woman who found it for several days, but could not survive in Earth’s atmosphere. Filed under: Extraterrestrials, Hollow Earth, SIRIUS, Steven Greer |	Comments Off on DID WE READ ABOUT WHAT IS NOW BEING UNCOVERED AS CHILDREN? APPEARS THAT IS THE CASE! Dratzo! We return! Your world continues to move forward toward the day chosen by Heaven for manifesting your new reality. Our Agarthan family informs us that their part in this operation has reached completion. Likewise, our secret sacred allies confirm that their activities have reached the point chosen for them by Heaven. We continue to allow the use of our technology to assist everyone in ensuring that all these interlinked operations are manifested exactly as planned. The one thing now remaining is for us to obtain the final green light from our heavenly hosts. This signal is shortly to be given to us. Until then we wait, watch, and oversee what is so close to happening. Meanwhile, the dark panics and wonders how and when the arrests will take place. At present, they are in a state of some anxiety because many of their co-workers have simply ‘disappeared,’ and thus they can no longer ignore the fact that the about their non-compliance that have long been presented to them are inescapably real, and that their positions of power are not to last much longer. Their vast fortunes have dwindled and the banking system they control is close to being shut down. As all these dramas play out, your world appears on the surface to muddle along as before. Yet the dark knows that this charade is nearly over and that new governance is in place in America, ready to assume authority. The changeover will start with a series of announcements that are sure to astound most of you. Then the new financial reality will bring a huge sigh of relief to each of you, as freedom from want and anxiety allows you to move into joy and abundance. Debt forgiveness on this scale will heal the many deeply entrenched rifts in a society that has been badly lopsided for millennia. The rich and powerful have used this double-standard system to hammer the masses and force them to do their bidding. Now all of this is to be removed and a level playing field has replaced the unjust world that has tormented you for so long. Moreover, governance more to your liking is beginning to ‘call this new tune.’ But do bear in mind that these improvements in your circumstances merely herald much greater changes to come, including disclosure. Here you get to the magic moment when we can formally introduce ourselves to you. Our arrival changes everything. Your sense of global identity is based on the fact of being unique in the cosmos. In fact, you are not alone. You came, long ago, from all over the galaxy to colonize this world. Your original colony of Lemuria was the start of your time on Gaia. Presently you are locked in the state of amnesia created by limited consciousness, and the moment has now arrived for you to be freed from this inability to know who you are and why you came to this beautiful blue-green world. The task of removing your amnesia has been given to us, and after a few decades of preparation we are ready to take you on a journey of discovery that will return to you the joys and wonders that are full consciousness. The first part of this journey begins with our broadcasts explaining what is to happen. Shortly after that, we will land and start a series of open and thorough discussions, coupled with technology transfers which will provide you with the wherewithal to return to your original, natural state. Then you can begin the individual full consciousness training that will allow you to begin setting up your new star-nation. Our core reason for coming to your solar system is not merely to watch over you but to return you to your spiritual and space families. Your Agarthan ancestors, too, are looking forward to taking up their own roles in the mentoring process. Until now Heaven restrained them from many of the things they wished to do for you, but now these limitations have been lifted and we expect them to play a large part in advising your new governance and in drawing up a number of policy statements regarding the new regulations of your banking and finance system. It is vital that you pass quickly beyond the first stages of your new prosperity and learn how to operate without the need for money as such. Our galactic societies function by direct manifestation of what we need, without resorting to being dependent on the energy resources of our home world. We also understand that our task is to nurture and support our living world, and our society is a divine culture that takes its place as a truly magnificent part of divine co-creation in our most wondrous galaxy. Namaste! We are your Ascended Masters! The march toward a blessed new reality continues. Our sacred associates are at the point where, with Heaven’s blessing, a new world can swiftly manifest. This sacred approval will shortly be given. Heaven is to proclaim a sacred day and this reality will finally come to pass. The dark has been informed that all our work to date will, on that day, be swiftly completed. This includes new governance and a series of broadcasts that will introduce you to those souls who have worked so courageously to make your new world possible. The success of this most ambitious undertaking is also dependent on the contribution of the Agarthans and a network of personnel from our space families. We the Ascended Masters are very grateful for all that is being done to prepare you for your life as a fully conscious Being. Our own mentoring of you will also serve you well, as it prepares you for what first contact will bring. Mentoring you for full consciousness requires that we come among you physically and begin teaching you to understand how this limited-conscious realm operates. We ourselves learned about this as we worked our way up into higher states of consciousness. It is important for you to know how 3-D operates because it lays the foundation for the greater wisdom of how the higher dimensions operate. This knowledge allows you to prepare for what your metamorphosis will bring. You are transitioning from a state where you are surrounded by many arcane beliefs to one that is fully transparent and truly amazing! This is a transition that each one of us made. Now it is your turn, and you are to be guided in this most graciously to enable you to reach that sacred destination. What is shortly to happen on your surface realm is more than just a metamorphosis; it is to be a major feat whereby you will integrate the many different parts of you into a most glorious unity, both individually and collectively. This process will undo a collective experience that lasted for nearly 13,000 years and is the culmination of a sacred promise made to you by Heaven. The dark and its innumerable blasphemies are to fade away. A new Age of Light will dawn and the time of the sacred prophets of the Creator will again be seen. Every one of you is a potential prophet and a deliverer of Good News! You are to form a society based upon your great Light, which is to shine in glory and multifarious service to the Creator. You will join us, as we guide you along those sacred paths assigned to us by the wondrous workings of Heaven and the divine plan. Today, we reviewed what is shortly to happen. Your surface realm is on the verge of reuniting with its inner complement, Inner Earth. This new, conjoined realm is to be the staging area for your metamorphosis into full consciousness and for the creation of a new star-nation. We rejoice, and wait patiently for this glorious time to manifest. Know, dear Ones, that the countless Supply and never-ending Prosperity of Heaven are indeed Yours! So Be It! Selamat Gajun! Selamat Ja! (Sirian for Be One! and Be in Joy!